November is the time of year that the American Lung Association asks us to bring our attention to chronic obstructive pulmonary disease (COPD). This disease, which includes chronic bronchitis and emphysema, is a progressive, chronic lung disease that over time makes it hard to breathe. 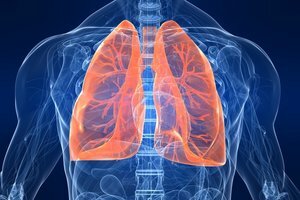 Chronic obstructive pulmonary disease is the third leading cause of death in the United States. While there is no cure for COPD, the good news is COPD is often preventable and treatable. What happens is cases of COPD, is the airways in the lungs become inflamed and thicken, and the tissue where oxygen is exchanged is destroyed. This causes the flow of air in and out of the lungs to decrease, ultimately making it harder to remain active. The main cause of COPD is smoking, yet nonsmokers can also get the disease. Other factors which contribute to COPD include long-term exposure to air pollution, secondhand smoke and dust and fumes and chemicals. There is also a rare form of COPD (alpha-1 deficiency-related emphysema) which is genetically inherited. While symptoms are often not recognized until later stages of the disease, individuals with COPD may experience chronic cough, frequent respiratory infections, wheezing, shortness of breath, producing a lot of mucus and fatigue. Please contact your doctor if you experience these symptoms, as early treatment is crucial to successful treatment. If you are concerned about getting COPD, don't smoke, avoid exposure to secondhand smoke, protect yourself against exposure to chemicals, dust and fumes in your home and at work and help fight for clean air in your community.